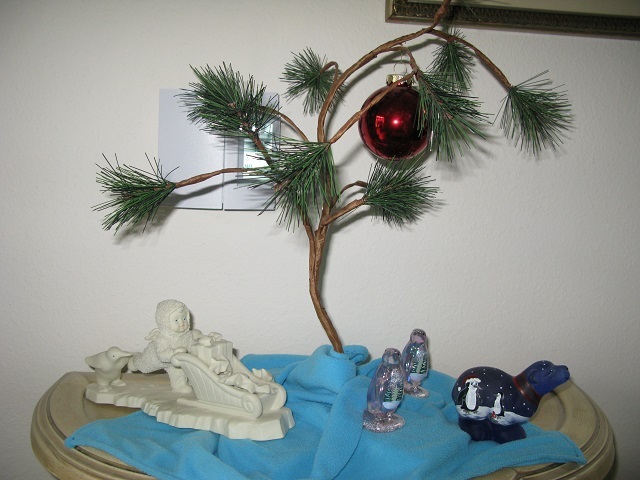 My 'MEAGER' 2018 Holiday Display !! Works Polar Bear part of a similar LE of 30 !! 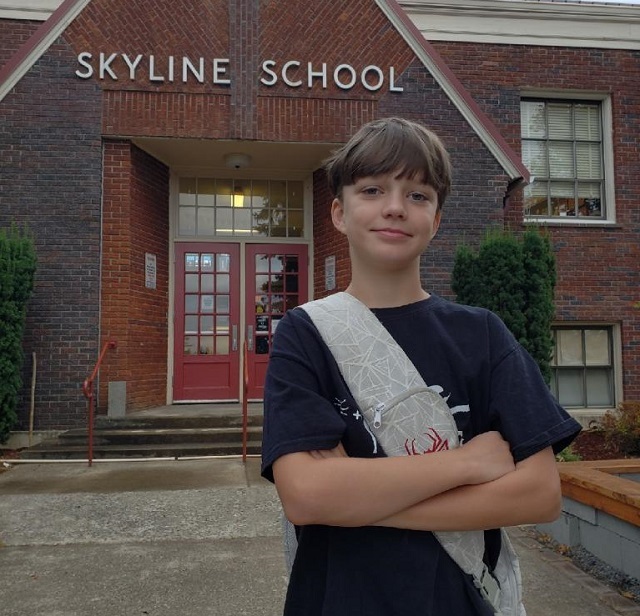 and then he will be graduated to High School !! Complete with His Favourite ‘Shoulder’ Pack !! grandchildren are REALLY more intelligent these Days !! Personally, I APPLAUD their achievement !! 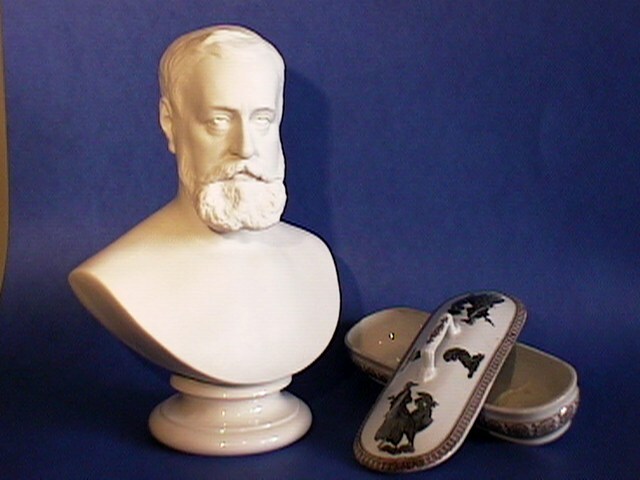 of what they believe to be a ‘homely’ Belleek item !! ‘glued’ together in some grotesque fashion. 3. NO items that YOU have hand decorated !! as well as your attraction to it and love for it !! 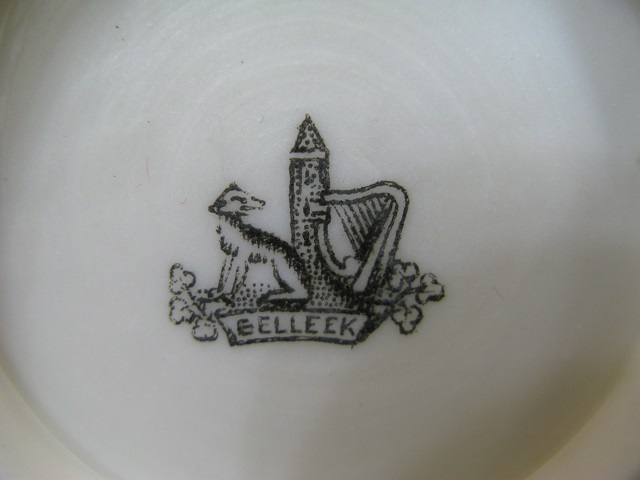 Homely Belleek !! THANKS !! what Fergus refers to as Stoneware !! 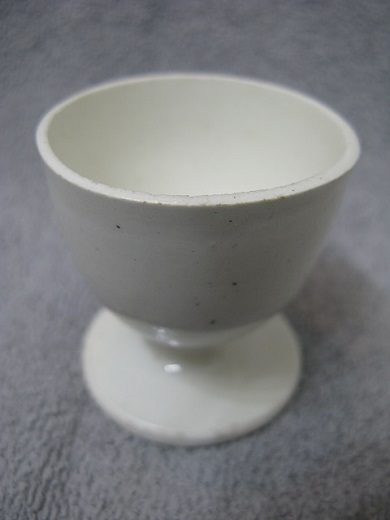 Belleek Stoneware Egg Cup !! Belleek 1st Period Mark !! both displaying LARGE 1st Period Marks on their ‘face’s !! region several Years ago !! guided properly in the completion my task !! experience another personal epiphany !! called the Irish island Iérnē. in Ireland or of Irish descent. 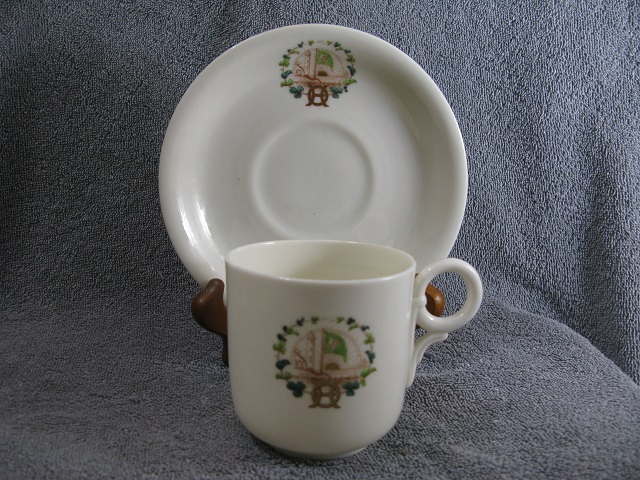 A BEAUTIFUL Ring Handle Ivory Cup and Saucer !! 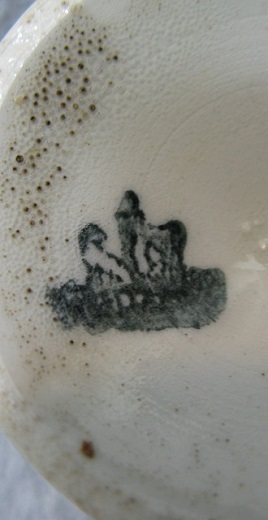 We'll be Discussing its Interesting Emblem and Monogram !! A SPLENDID 1st Period Mark on the Cup's Base !! ALL the Items Comprising My Set are Marked Similarly !! Party MP in the Parliament of Northern Ireland. a patronage, brokerage and recreational association. leader of the IPP, were lifelong friends and mentors !! demonstration or convention throughout Ireland !! 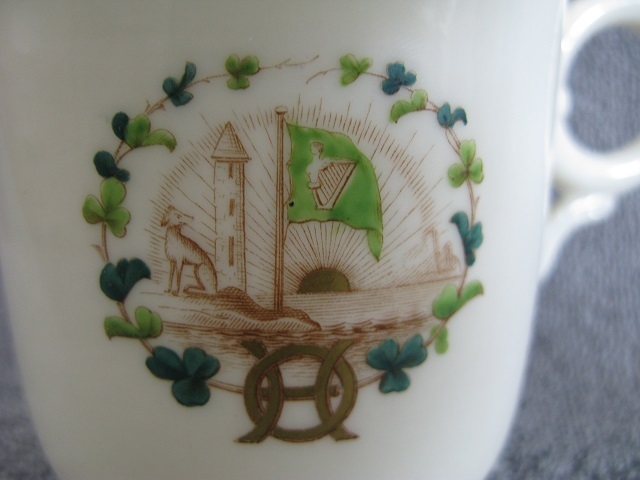 Close Up of the Cups AOH Monogram !! and the “H” JUMP out at you as ‘individual’ characters !! combining the “H” with the ‘top’ of the letter “O” !! represent !! MANY THANKS Fergus !! ** ENTER THE FENIANS !! Ireland was first invaded by England in the 12th century. comfort their people by whatever means was available. conflict known as the Irish Confederate Wars. in its aim to remove English control from Irish affairs. and then the establishment of an Irish Republic. the course of Irish history. A Variation on the Flag of the ‘United Irishman’ !! the borough's Regiment or Volunteers during 1907 !! Republican Army between March 1922 thru April 1923. Tipperary on April 10, 1923, aged 29.
believed they were part of that new dawn !! ** WHAT ABOUT THE UNITED STATES ?? to be, the AOH !! as the Ancient Order of Hibernians in America in 1884. Auxiliary to the Ancient Order of Hibernians in America". against suffragists in 1912 !! 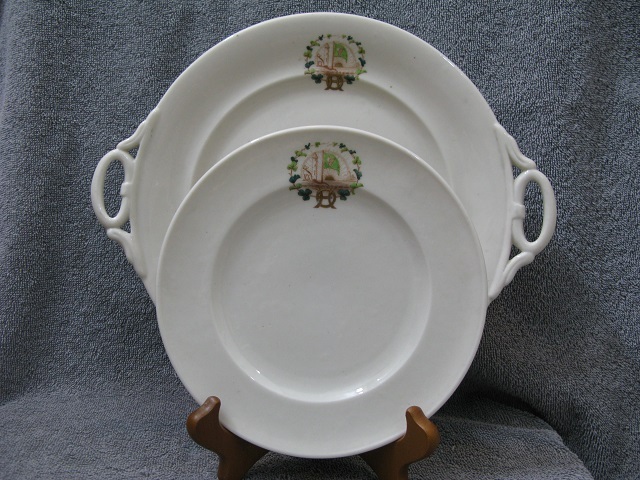 Beautiful AOH Side Plate and Breadplate !! ** FENIANS MONSTER CONCEPT !! to Paris with James Stephens. monument to the Irish patriot, Robert Emmet. run their people for top AOH offices. the Fenians) had agents across the United States. leadership of Brigadier General Thomas William Sweeny. the 'roots' for a united Ireland !! failure to support the Union during the civil war. This factions’ "Secretary for War" was General T. W.
little assistance from the watchful eyes of U.S. Troops !! damage was done; the Fenians were virtually disbanded. To get the Fenians out of the area, both in the St.
in the raids that followed. 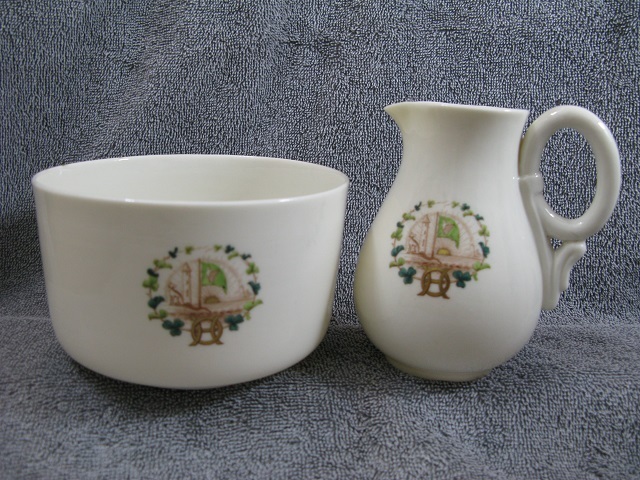 A Splendid AOH Cream and Sugar Set !! ** GO WEST YOUNG FENIANS !! in the harbour just off the railhead and its docks. large numbers of troops on the first train. 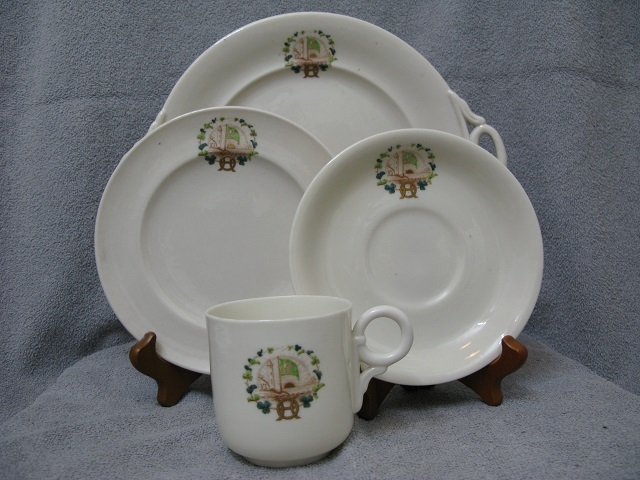 Finally, a Complete AOH Place Setting !! ** THE AOH TODAY !! promotion of Irish culture through educational programs. 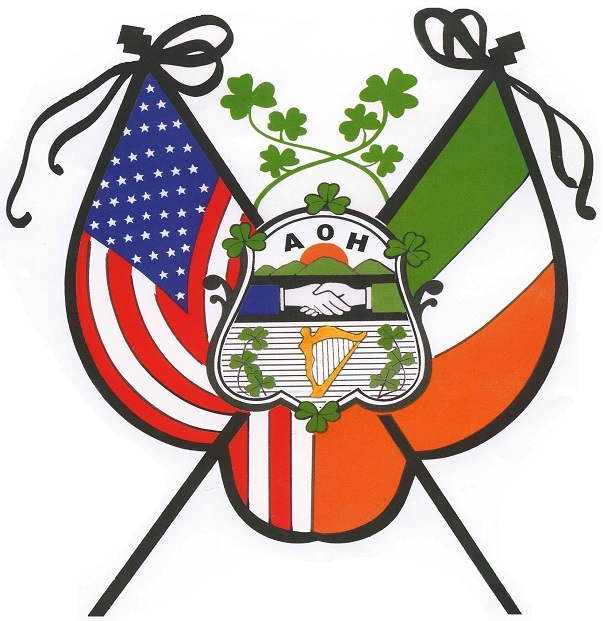 AOH is a separate and much larger organization. Ancient Order of Hibernians Monthly Bulletin !! aid the newly arrived Irish, both socially and economically. and just solution to the issues that divide Ireland. via political treaties sans violence !! and NATIONAL HISTORY DAY sponsorship. ** THE AOH EMBLEM !! The AOH Emblem is Enhanced with Symbolism !! showing a gold harp displayed on a field of green. mythology to the Holy Trinity itself. The lower field contains a harp flanked by shamrocks. in front, is often used to represent the Wild Geese. following the end of the Williamite War in Ireland. 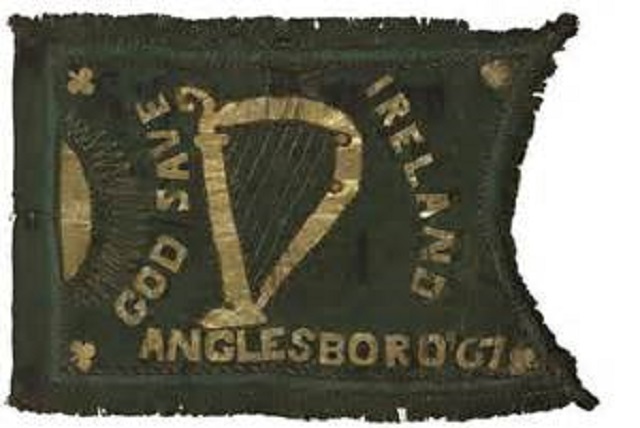 shield to represent the four provinces of Ireland. Some presentations show the lower shamrock inverted. that way so all the stems would connect to the shield. (God and Mary be with you) !! Season and a PROSPEROUS Belleeking New Year ! !